CVS is a wonderful place to save $! If you had told me that several years ago I would have laughed at you, but I've found so many awesome deals there that it truly has become one of my favorite places to shop. 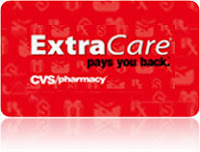 At CVS the first thing you need to do is get an ExtraCare card. This is a store rewards card that gives you access to sale prices and also the coupons that some of their promotions print out at the register. Without this little red card, the deals just aren't there. You can get a card for each person in you household but it doesn't benefit you much to do so. Typically the deals are per household and having multiple cards makes it more difficult to keep up with what you have as far as ECBs to spend. The only advantage to having more than one card in your household is the possibility of getting different coupons from each card. If you earn an ECB or get a coupon on one card in your household, you can only redeem it with that card. Each coupon & ECB you receive from any CVS machine is coded to only work with that specific card. I suggest you start with one card in your household until you are proficient in figuring out how CVS works, start simply so as not to get overwhelmed. Later, if you think you can keep all the coupons and ECB's straight that 2 cards will bring you can always give it a try. Keep in mind though that most CVS deals are 1 per household, so having multiple cards doesn't mean multiple deals, just a few extra coupons. To get an ExtraCare card you have two options... sign up online and wait for the card to come to you, or just simply ask for one at the register when you go in to shop. I prefer the later because it's in hand instantly and you can do the deals right away. I recommend that you register your card online and often time when you do they send you a good coupon for signing up. These coupons used to be something you could share with your friends, but are now coded for your use only. These are coupons most of us would love to have in abundance and are usually $4 off of a $20 purchase. It's easy to get to $20 in CVS, but when you coupon, it's easy to get your total back down to next to nothing if you spend a little time on it. Also, if you register your card you get the occasional coupon or product in the mail from CVS... an added bonus! At CVS they often have deals that make items free or close to free when you purchase them and get the coupon back for $ off your next order. If you have a coupon for any of those items it makes for an even better deal. Just don't lose the coupons because they no longer replace them. You can use as many of these simple $ off coupons, or commonly called Extra Care Bucks (we'll call them ECB's) as you want in a transaction but they aren't supposed to work for tax. If your coupons total more than your items cos, plan on losing the extra value or adding something else to your purchase. Some stores will take expired ECB's and some will not. This usually depends on management, although there is a store I visit where the manager will take them but one of the cashiers will not. CVS will from time to time have coupons our that are $3 off of any $10 purchase, etc (we'll call these $/$$). You can only use one of these per transaction unless they are different coupons. If you have 2 of them and want to use them together you have to meet the total purchase on both together to use them together. For example, if you have a $3 off $10 and a $10 off $50 you have to buy $60 worth of products (not counting tax) to get $13 off.... clear as mud? Some stores don't allow combining anymore so your mileage may vary (YMMV). The best way to use a $3 off $10 is to purchase items as close to $10 or just above as you can, especially if you have several of them, because you can use them on multiple orders to better your savings. 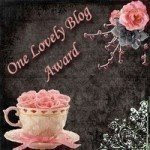 It is better to give your coupons in a specific order which I will talk about in a moment. Occasionally you will get a cashier that will rearrange your coupons and put them through differently. Doesn't make a big difference, but the manufacturer coupons will sometimes help cover tax if you use this order. When at the register give the $/$$ off coupon first, then any other ECB's that you want to use, minus manufacturer coupons you have for products purchased. Pay your remaining and wait for the newly earned ECB's to print on your receipt. Then you may get, for example a 1.99 ECB, and a $5 ECB. The idea is to use your previously earned ECB's to purchase more ECB giving products to maximize your savings. And the cycle begins. If for some reason you don't get the ECB's you expect, check the bottom of your receipt to see if the items counted as qualifying and let the cashier know before you leave the store. Once you leave the store they assume you got what was expected and you can no longer call corporate to get it fixed. Another important bit of information. You don't always have to buy all of the products at once to get the qualifying ECB. For instance, say they have a deal on a certain brand of diapers and if you buy $20 worth you get a $5 ECB. You can purchase $11 in one transaction and then purchase the remaining $9 worth on another transaction. You won't get the ECB until you meet the criteria on the second visit, but it will show on the bottom of you receipt how much you need to qualify for the deal if you didn't make it in the first transaction. This is great when you have some of those $ off $$ coupons I was talking about because you can break up the deals and save more money altogether. Using the diaper deal as an example...if you do 2 orders of $10 and have 2 coupons for $3 off $10 without any other coupons you spent $14 and got a $5 ECB. You will also get other coupons at CVS. CVS stores now have a red machine where you can price check items. This machine also gives out coupons sometimes when you scan your ExtraCare Card... this is where having multiple cards can benefit you. If you don't scan your card at the machine you will often get coupons on your receipt when you checkout. These coupons are often for their store branded products and sometimes products the manufacturers are promoting in the store. I would suggest that even if you don't think you will use these coupons, hold onto them until they expire. Don't throw them away! I can tell you that I have thrown out several that I would've been able to use before I realized this. They may be for products you won't use, but they can come in handy if you have one of those $ off $$ coupons. They can help you meet the $$ when you can't find anything else that will work for you. If you have a coupon from CVS you can always use a manufacturer coupon with it as long it doesn't say "manufacturer coupon" on it. You can actually do this at any store with coupons so long as they don't both say manufacturer coupons. This is called stacking coupons. Prescriptions are something that can earn you extra money at CVS too. There are often coupons for $25 for each new or transferred prescription that you bring in. If you're willing to move your prescriptions around to gain a few bucks it can be worth it. You can often find bonuses at other stores for transfers as well making it even better. Coupons for transferring prescriptions are getting harder and harder to find these days, especially at CVS. Reinventing Beauty Magazine (RIB) is a magazine offered in many CVS stores for $.99 that is offered seasonally. It often contains coupons for products that may come up on sale during that season. They can sometimes be found by the store fliers, by the cash register, in the cosmetics isle or in the magazine section. Not all CVS stores carry them so if you can find them and want to see one, ask. If you don't want to start with much money I suggest you buy a free after ECB product or two and start rolling your ECB's from there. When you have coupons for those "free" products your ECBs will start to grow as long as you're not buying other items with them. Unless you are using a $/$$ coupon, you can do as many or few items in a transaction as you like... just be aware of the other shoppers and don't make them wait if you are wanting to do several orders. Be coupon friendly!